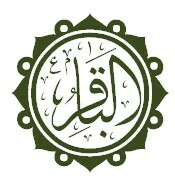 Muhammad ibn Ali (Arabic:محمد بن علي الباقر), also known as al-Baqir (the one who opens knowledge) (677-733) was the fifth Shia imam. He was the son of Ali ibn Husayn or Zayn al-Abidin and the first imam who descended from both grandsons of Muhammad, Hasan ibn Ali and Husayn ibn Ali. He is highly respected by both Sunni and Shia Muslims for his leadership, knowledge and Islamic scholarship as a jurist in Medina. After the death of Ali ibn Husayn (the fourth Imam), most of the Shiites agreed upon his son al-Baqir as the next imam; some of them said that, another son of the imam Zayd ibn Ali should be the next imam, and became to be known as Zaidiyyah. ↑ 1.0 1.1 1.2 Sharif al-Qarashi, Baqir (1999). The Life of Imam Mohammed al-Baqir; Chapter VI & VIII (PDF). Translated by Jasim al-Rasheed. Qum, Islamic Republic of Iran: Ansariyan Publications. ISBN 964-438-044-4. ↑ A Brief History of The Fourteen Infallibles. Qum: Ansariyan Publications. 2004. p. 117. ↑ Regional Surveys of the World: The Middle East and North Africa 2003. London, England: Europa Publications. 2003. p. 149. ISBN 1-85743-132-4.